We are two women architects with experience in critics, communication and journalism of architecture. In 2014 we have founded with Giulietta Fassino, who has left the studio in 2018, the associate office ComunicArch. We communicate architecture. Cristiana Chiorino (1975) Architect, PhD in History of Architecture and Urbanism at the Politecnico di Torino (2005). Graduated at the Politecnico di Torino (Italy), she has then obtained a master in Conservation of modern heritage at the Institute of Architecture of Geneva, Switzerland. From 2005 to 2014 she has been deputy editor in chief of the monthly magazine Il Giornale dell’Architettura published by Umberto Allemandi & C. She has worked at the organization of important scientific exhibitions on architecture including Carlo Mollino architetto (2006). She has been part of the organizing and scientific board and editor of the catalogue of the exhibition Pier Luigi Nervi. Architecture as Challenge (Bruxelles, Venice, Rome, Turin, Copenhagen, Mantua, Salerno in 2010-2012, Lausanne, Zurich and Wroclaw in 2013), promoted by the Pier Luigi Nervi Project Association (PLN), and since 2015 for ComunicArch she coordinates the itinerant light version of the exhibition on Nervi, Pier Luigi Nervi. Art and Science of Building | The traveling exhibition (St. Gallen 2015, Budapest, Buenos Aires and Philadelphia 2016, Perth 2017 and upcoming in Miami). Since 2011 she collaborates with PLN as an advisor on conservation and protection of Nervi’s architectural heritage in Italy and worldwide with particular regards to the buildings under threat. She is member of Docomomo Italy and founding member of the association Open House Turin (2017). 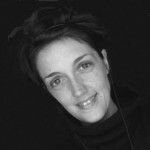 Laura Milan (1975) Architect, PhD in History of Architecture and Urbanism at the Politecnico di Torino (2005). She graduated at the Politecnico di Torino (2001). She is member of the Turin Province Chamber of Architects. 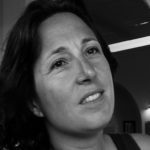 While training as an architect and working in many practices, since 2002 she is member of the editorial board of the architectural magazine Il Giornale dell’Architettura and collaborates with many specialized magazines and webzines. She collaborates with important Italian and foreign institutions, developing a deep knowledge of Carlo Mollino’s archive and work with the exhibitions “Carlo Mollino architetto” (2006, Fondazione Palazzo Bricherasio and Polytechnic of Turin) and “Carlo Mollino. Maniera moderna” (2011-12, Haus der Kunst, Munich), and collaborating with the Chamber of Commerce of Turin (2009). For the Chamber of Architects of Turin and its Foundation she was member of the jury of the prize “Architetture Rivelate” (2012-13) and participant in many focus groups. She is founding member of the association Open House Turin (2017).